Will Steacy is an American photographer and writer. Coming from five generations of journalists, he was always inclined towards the world of newspaper. 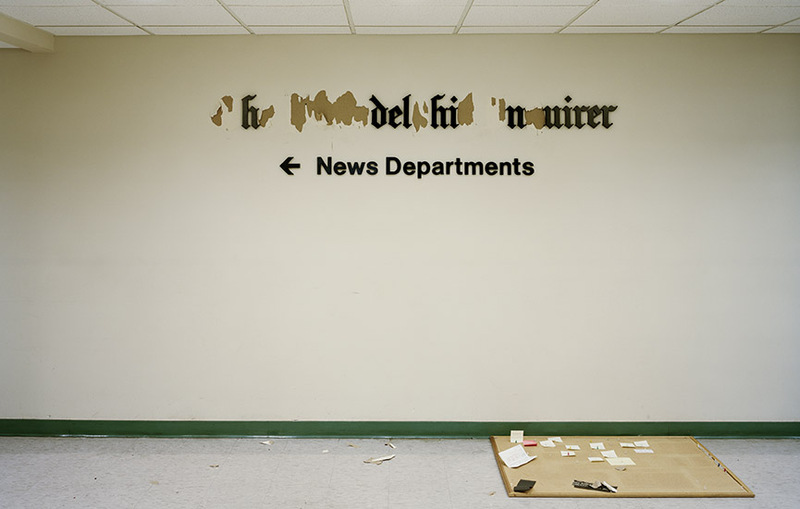 And so, as of 2009, he began photographing the headquarters of The Philadelphia Inquire, at the edge of financial disaster. This project, titled Deadline, is coming for an exhibition in Switzerland. Two years after he started the series, his father got laid off from his job at the Inquiry, after three decades. For younger Steacy, it was hard to accept the news, but nevertheless he continued to take photos of the place. 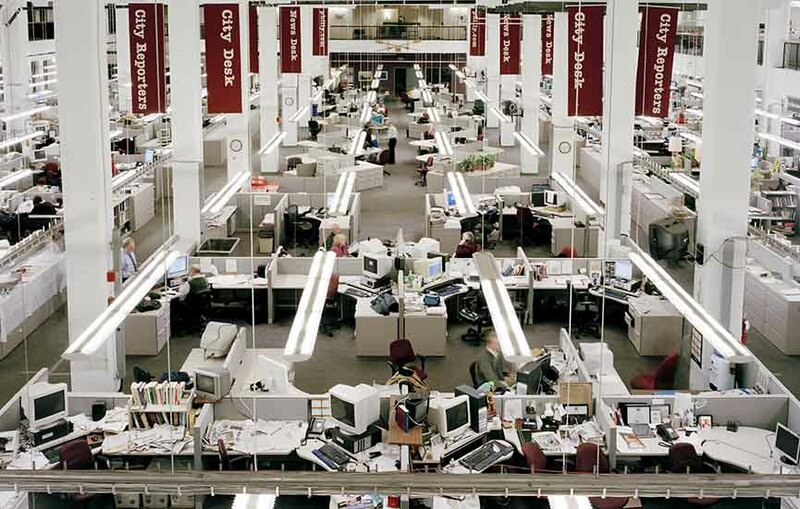 Through images of the newsroom and the printing plant, he depicts the newspaper giant struggling with a row of difficulties: the loss of advertisers, vacant desks, buy-outs and a significant decline in circulation, towards what it seemed to be imminent bankruptcy. 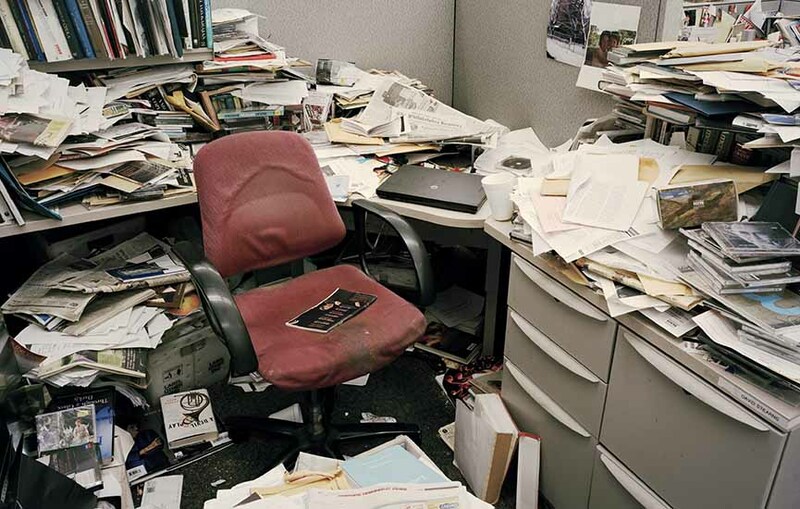 These images easily portray a picture of press industry in general, as the world is evolving towards an extensive use of information technology, that will result in a certain number of skills and professions becoming obsolete. Steacy tries to point out that without a human factor, reporters, editors and columnists, the media will no longer be connected to society. 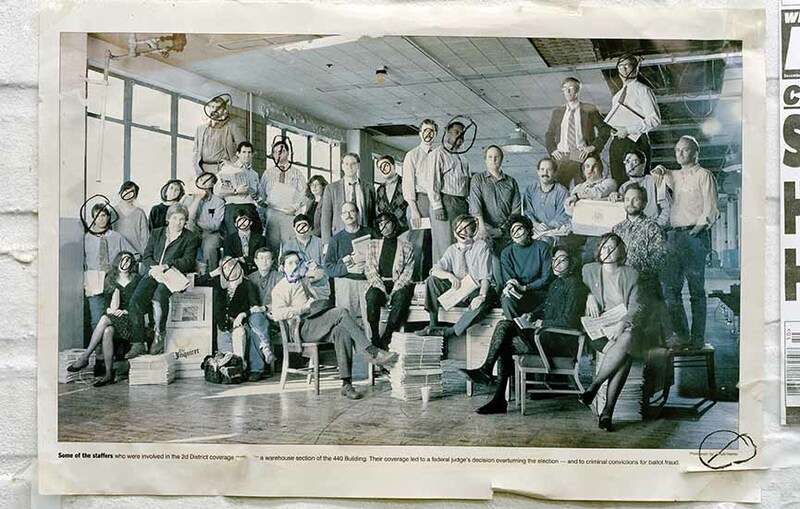 “The newspaper is much more than a business, it is a civic trust,” says the author. In the end, The Philadelphia Inquire moved to new offices and turned over a new leaf. The photographer, in the meantime, started a Kickstarter campaign in order to fund the book of the five-year project, that got him $26,000 and a successful publication. Will Steacy’s best known project, Down these Mean Streets, is a socially-conscious series of photographs depicting life in rough urban areas. Walking around by night with a large format camera, he visits and documents the areas between airports and central business districts of each city. Abandoned houses, traces of violence, people trying to survive, testify to the drastic measurements the government had to take in order to balance the budget, depriving people from their jobs and taking away any future hope for development. 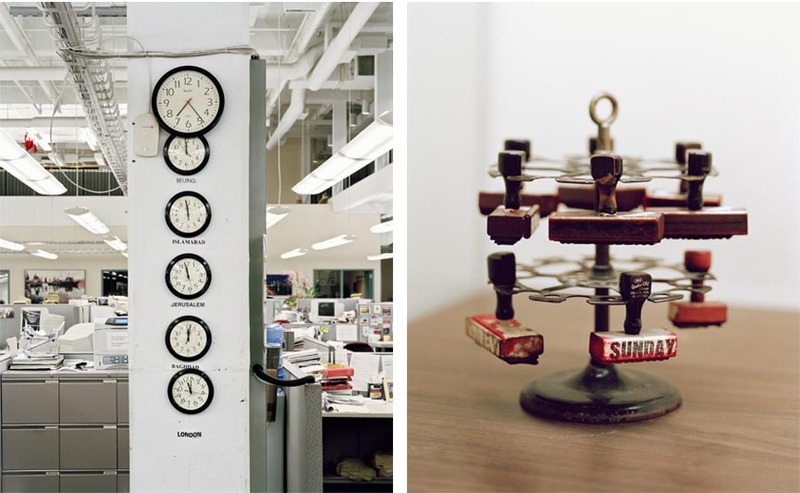 It is a look inside the American society in the middle of another economic crossroad and a cry for change.His other pertinent book published in 2012, is titled Photographs Not Taken. It is a collection of essays written by photographers, in which they describe the tools and reflections necessary to take a photo, but without actually taking it. Instead of capturing the image through a lens, these authors grant us access to their minds and we are able to image these photos without actually seeing them. Will Steacy’s images are regularly published in magazines and papers like Time, Forbes, The Guardian and The New Yorker. 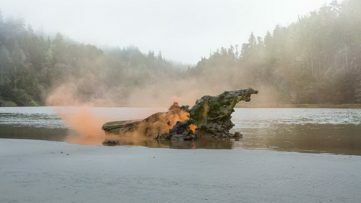 The Deadline series was also exhibited as part of the Discovery Prize at the Rencontres D’Arles 2014 photography festival. In 2013, participated in the Vevey International Photography Award organized by the Festival Images. The work of Will Steacy will be shown at Espace Qual1 in Vevey, Switzerland, from January 21st until February 28th 2015. Don’t miss any of the upcoming exhibitions! Sign up for My Widewalls today! Did we mention it’s free? All images courtesy of Espace Qual1.